When you have your birthday on a tropical island. 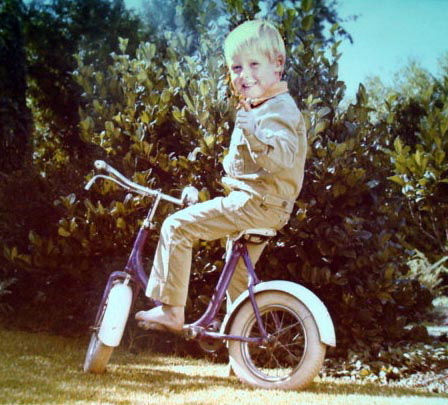 I started XTERRA training at 4 years old when single speed and white tires were all the rage. I’m in Maui, Hawaii. It has been my birthday for almost 24 hrs and, it will keep going for at least another 20 hrs. Thanks to Facebook, I have been getting birthday wishes from folks in Australasia almost a full day early, and as the earth turned, and the sun fell on Africa, wishes came flooding in last night from South Africa and Europe, and then today (the 23rd- my actual birthday) the North and South Americans checked in. This time thing is weird in many ways. Thanks to modern technology I can Skype my parents on the farm so they can wish me happy b day- all the way at the opposite end of the globe. It is an exact 12 hr time change. I’m turning 35. Halfway to 70. I have had a very very full life. Amazing memories, I’m truly blessed. This entry was posted	on Thursday, October 23rd, 2008 at 8:05 pm	and is filed under Hawaii, Libby Burrell, XTERRA. You can follow any responses to this entry through the RSS 2.0 feed. You can leave a response, or trackback from your own site. You are an amazing person, bringing so much to the sport and to all those around you. Wishing you a fabulous birthday, an awesome race on Sunday and at least 70 more years of tropical birthdays with the love of your life. I loved the dolphin videos, what a great day to swim with them!! some pictures just shouldnt get put on the www …..